Scan Sys develops smart software solutions for the automated processing of invoices and other document flows. The software, ImageCapture, integrates fully with your Exact Globe administration. For even more flexibility with powerful workflows we can combine it with M-Files so that your invoices are digitally processed, certified and archived. 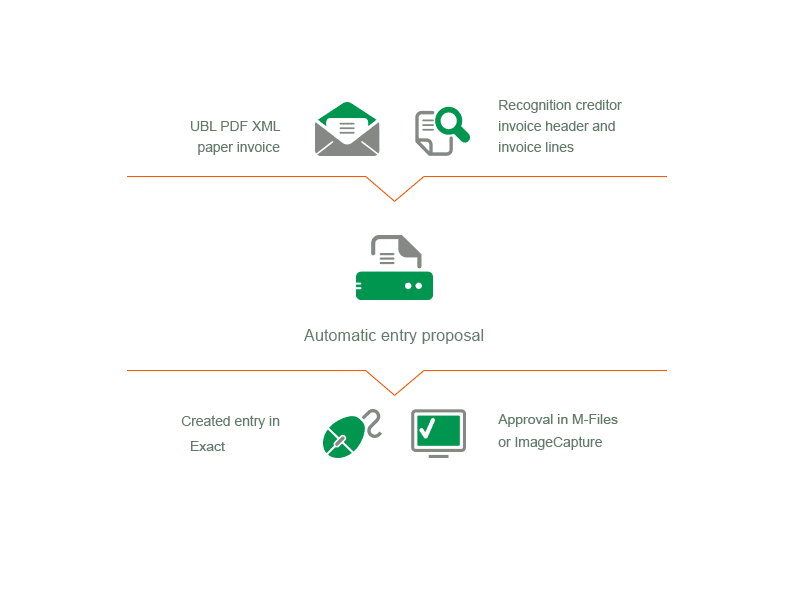 With ImageCapture and M-Files you have one integrated processing of your invoices, from entry to payment. You save precious time on the processing process and have access to your costs and the status of your invoices at all times.